Haddington Infant School Parents Partnership Archive 2007-2014 | A superseded site with HISPP historic information and posts. A superseded site with HISPP historic information and posts. Welcome to the Haddington Infant School Parents Partnership Archive. If you’re looking for current information, head over to the main school web site at https://www.edubuzz.org/haddingtoninfants/. 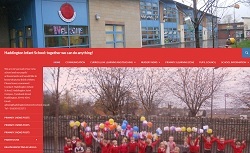 This web site was used by the Parents Partnership for seven years, from 2007 to 2014. It has been kept online to allow the school community easy access to the historic information it holds. We now share the main school web site, so this site is no longer updated. If it’s historic information you’re after, you’ll find the blog posts are now on a new page here.